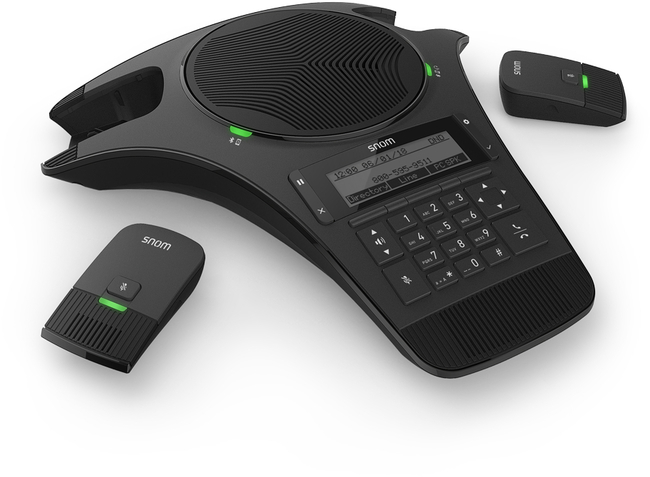 The Snom C520 IP conference phone is a stylish, low cost conferencing solution with wideband audio. This solution gives the flexibility to expand the conference area using wireless DECT microphones (included) and optional hands-free units making it ideal for companies and conferences of all sizes. 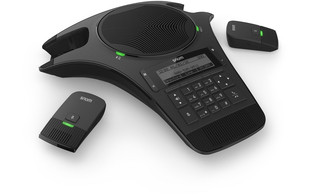 This SIP conference phone is fitted with 3 microphones one of which is integrated in the unit, the other 2 are detachable DECT microphones which can be placed conveniently to suit the conference room setup. Each microphone features dynamic noise cancellation, adaptive feedback control along with HD-quality audio. 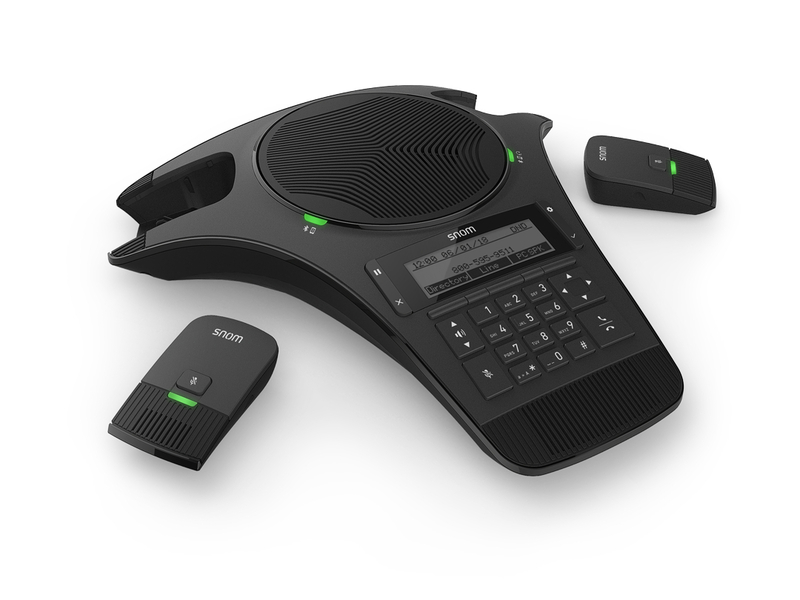 The Snom conference phone gives users the ability to pair up to two bluetooth devices such as a mobile phone and headset.